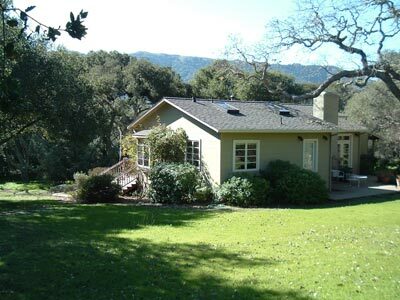 Spacious, fully furnished home situated on sunny, gated entry property minutes from Carmel Valley Village. Master bedroom suite, living room, dining room area, den, kitchen and half bath up; two additional bedrooms and bath down. 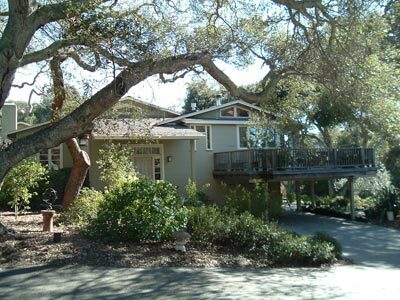 Quiet and serene with large, majestic Oaks and two patio areas. Fully landscaped with gardener. Attached 2 car carport and detached garage. Available June through August, possibly May and September as well.